BCCI (Board of Control for Cricket in India) announced the full schedule for IPL 2019. Initially, BCCI announced IPL 2019 schedule for the first two weeks. Now after the announcement of dates of the general election in India, BCCI announced IPL 2019 full schedule. Chennai Super Kings and Royal Challengers Bangalore will be the first match for this season on 23 March. In IPL 2019 full schedule, the last match is scheduled on 5th May between Mumbai Indians and Kolkata Knight Riders. Earlier in 2009 and 2014, due to general elections in India, IPL was shifted outside India. In 2009, it was shifted to South Africa and in 2014, it was shifted to UAE. 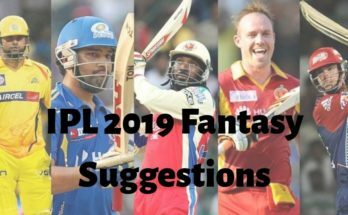 Download IPL 2019 full schedule PDF from here. *Official timings for the matches are 4:00 PM IST and 8:00 PM IST.